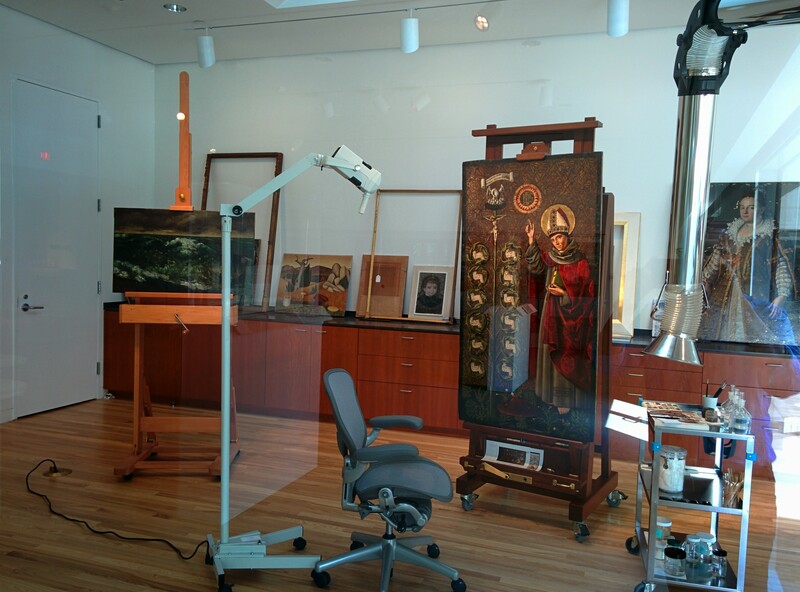 How well do you know the DMA collection? Celebrate National Puzzle Day by putting your memory to the test and guessing which works of art these puzzle pieces come from. Read the rhyming clues if you want some extra help, then check your answer by clicking the link under each set of puzzle pieces. No cheating! hanging on the 2nd floor. These are pieces from a print. This work’s thousands of years old. Maybe rest your legs a bit. If you’re looking for more hands-on puzzle action at the DMA, stop by the Pop-Up Art Spot on the 4th floor in March to recreate a life-size version of Ocean Park No. 29 by Richard Diebenkorn. Happy puzzling! Last October, staff from the Center for Creative Connections, Founder and Director of Make Art with Purpose Janeil Engelstad, and Skyline High School Architecture program teacher Peter Goldstein began a new project building on a past collaboration at the DMA. Translating Culture: Community Voices at the DMA originally started as an initiative to create links with the community by providing different platforms to share varied perspectives on the collection. 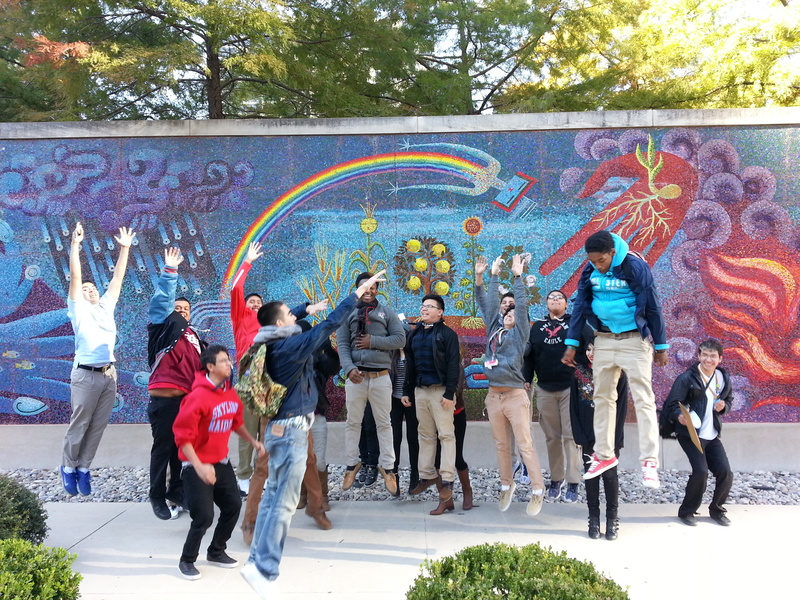 After a very successful first collaboration with AVANCE Dallas, the project took a second life with a group of 11th grade Architecture Cluster students at Skyline High School. After months of hard work, Translating Culture II: Community Voices at the DMA will finally launch on the DMA.mobi site this coming Friday, May 15. 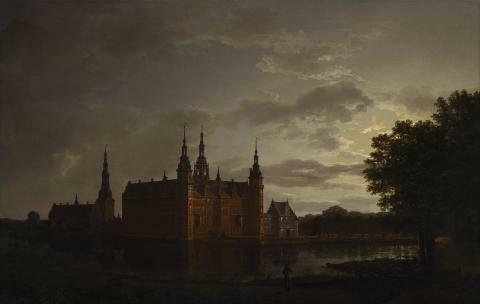 That night as part of Late Night, we’ve organized two programs for visitors to engage with this new project. The events scheduled for the night include a self-guided tour throughout the Museum of new stops (which are both in English and Spanish) and an opportunity to meet up with the students themselves. You can find maps with the outlined stops at the Center for Creative Connections from 6:00 p.m. until midnight. And you can join us there from 8:00-9:00 p.m., where students will be available to talk to visitors about the project, their individual contributions to the site, and to share about their overall experience. To spark some excitement about the launch, I thought I would speak to two of our key people in this project–Janeil and Peter–and ask them a few questions about Translating Culture II and their expectations for the future. I leave with you their answers below. 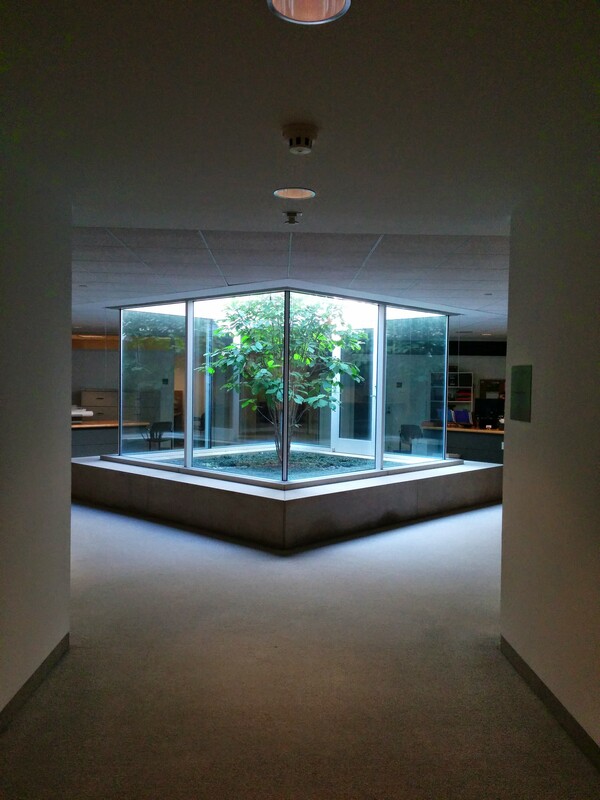 Be sure to check out the student contributions on DMA.mobi beginning May 15! Janeil: Translating Culture II: Community Voices at the DMA is a bi-lingual, Spanish-English, smartphone tour where museum goers engage with and experience interpretations of art work in the DMA permanent collection from the point of view of students from the architecture cluster at Skyline High School. Peter: It’s a program that provides students with the opportunity to share their insights, observations and experiences with works of art in the DMA collection. How will this collaboration contribute to the DMA and the community of Dallas? Janeil: Translating Culture II is a statement by the DMA that the voices and ideas of people from different Dallas communities and cultures are a relevant part of the dialogue about art. I see this statement as gesture or a sort of offering that creates new spaces for engagement and play. Through the process of the project, new relationships and connections between the institution, the collection and the community have been built, which is a new and valuable thread in the fabric of the community. Peter: The DMA is an invaluable part of our community–it is a unique place of learning and inspiration with a diverse collection of art from around the world. 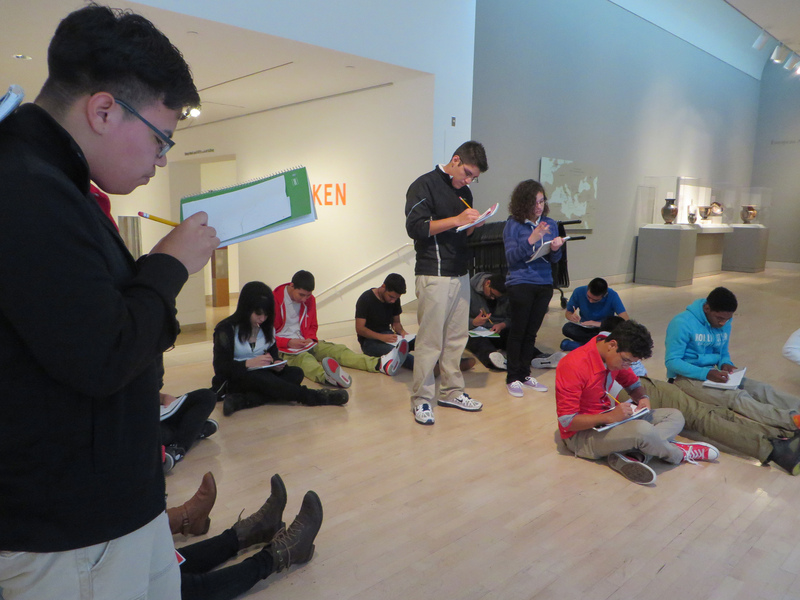 The DMA encourages and facilitates student and community involvement through a wide range of activities focusing on their outstanding collection of art. In your opinion, what do you think was most valuable about this project? Janeil: The expression of diversity and inclusion around art was most valuable, providing access and bringing under-represented voices into the larger cultural conversation, which is a key part of MAP’s mission. Peter: The Translating Culture II project allowed students to engage in a conversation about works of art that spoke to them on a personal level. The students discussed and analyzed the artworks they encountered, and then created responses that are a reflection of their own unique interests and perspective. Art has the ability to communicate beyond geographic boundaries and across time. With the support and guidance of the DMA and MAP, the students involved in this project were able to explore works of art from artists and cultures around the world, and then embark on a journey to communicate their ideas and discoveries for others to enjoy. What do you hope will come out of Translating Culture in the future? Janeil: I hope that the visitor who takes one of these tours has his or her imagination lit in a way that inspires new thinking or new ideas, and brings joy. Peter: Our hope is that the work you see on the DMA.mobi site will spark the interest of other students (and adults!) 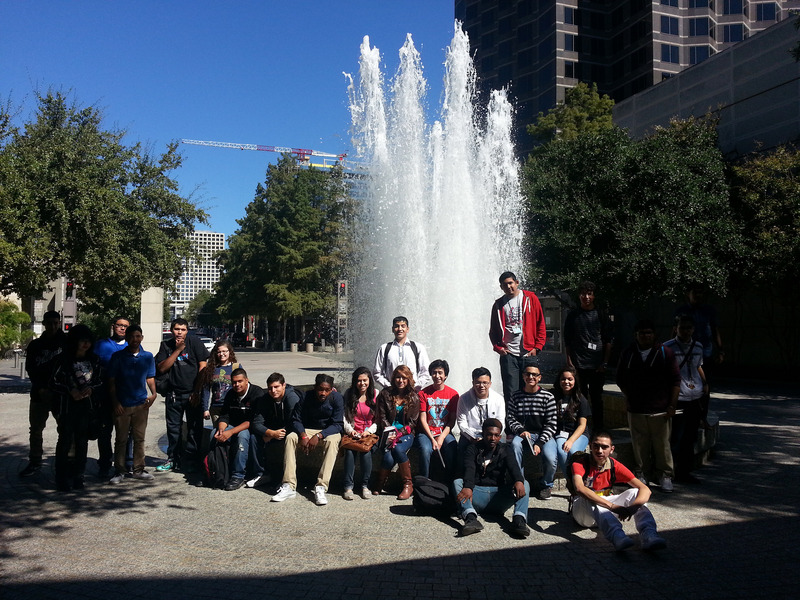 and inspire them to explore the incredible richness and diversity of the Dallas Museum of Art. Translating Culture is about discovery–and sharing those discoveries with others. Inspired by the DMA’s newest exhibition, Bouquets: French Still-Life Painting from Chardin to Matisse, I thought it would only be appropriate for my first Canvas blog post to incorporate still-lifes from our collection. So with Thanksgiving just behind us, I wanted to share some my favorite food-related still-lifes in our collection. This 17th century still-life makes even the most wonderful Thanksgiving leftovers seem bland. Anyone care for some lobster? After all of the yummy turkey, stuffing, casseroles and potatoes , how about some fruit (and maybe champagne) to lighten your leftover hangover? The Friday after Thanksgiving is a wonderful holiday all on its own. I like to stay in, enjoy my friends’ and families’ company, relax and read the paper, and eat some yummy leftovers (maybe even a turnip or two!). It is the best part of the holiday weekend! I hope you enjoyed the Thanksgiving holiday! And if you didn’t finish your Christmas shopping last weekend or you’re looking for a cyber Monday fix, don’t forget to check the Museum Store’s website to find many unique presents and local crafts! The DMA is positively blooming with floral still-life paintings this winter, thanks to the amazing works on view in Bouquets: French Still-Life Painting from Chardin to Matisse. Visitors can enjoy these paintings and even find a bit of creative inspiration in a sketching gallery, outfitted with a fresh floral arrangement, drawing supplies, and a place to display their drawings. Inspired by the exhibition, DMA staff took a turn curating their own still-life creations. From traditional to offbeat, we hope you enjoy these interpretations of this classic genre that has inspired artists for centuries. If you’re feeling inspired, create your own still life and post it to Twitter or Instagram with the hashtag #BouquetsDMA—you may just see yourself retweeted! In part, I am inspired by image-cropping choices made by a few artists in the Bouquets exhibition, such as Paul Cezanne, where the flower(s) doesn’t necessarily hold a central position. Gathering a small collection of objects with personal meaning and varied textures also influenced my composition. – “End of Day Still Life” – Wednesdays are my busiest days. When I get home, I’m equally satisfied and exhausted. Nothing is going to get put away, everything goes on the table at the end of the day. Anthea Halsey is the Senior Marketing & Social Media Manager at the DMA. 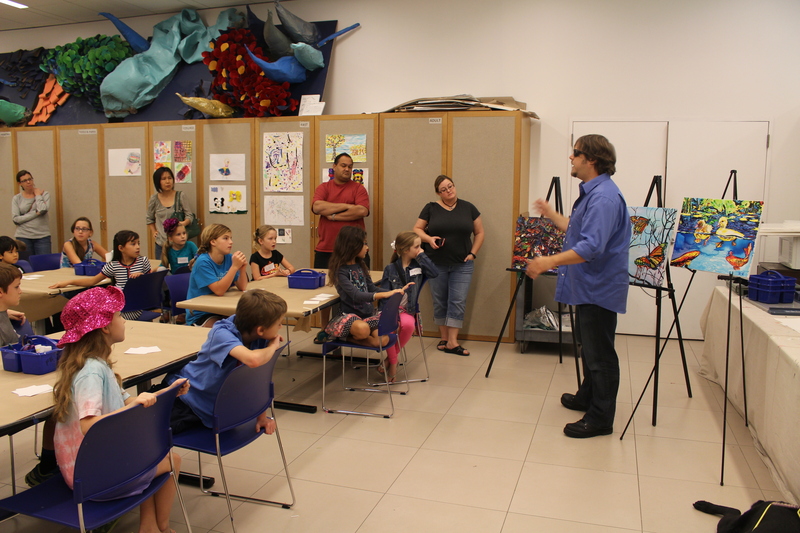 October is nearly over and at the DMA we have had another fun month of Art Beyond Sight programing. This is our eighth year of presenting programs related to Art Beyond Sight and many of our programs focused on exploring works of art using senses other than vision. Art Beyond Sight Awareness Month, sponsored by Art Education for the Blind, is celebrated by over 250 cultural institutions all over the world and focuses on the idea that everyone must have access to the world’s visual arts in order to fully participate in his or her community. At the DMA, we hope to not only make our programs welcoming to visitors of all abilities, but to specifically raise awareness of making art accessible to people with vision impairment. John Bramblitt talking about his artistic process with visitors in the studio. This year several of our programs for families, from First Tuesday to Arturo’s Art and Me related to Art Beyond Sight themes. Children had the chance to experience tables full of various textures and smells on First Tuesday and explore the galleries on a family tour focused on the senses. Toddlers explored texture in the African Art gallery and learned about Braille and raised line drawings. Even Arturo’s Nest, our space for children aged four and under, was stocked with toys and interactives that highlight the senses. For several of our programs, we welcomed artist John Bramblitt, who has collaborated with us on ABS programming for the past 5 years. We love having John as an integral part to our programs; he is a favorite summer art camp special guest and often a featured artist at past large Museum-wide events. This year, John gave a gallery talk with an overview of his process as a painter who is blind. John focused on the way that he integrates music, texture, and even taste into his artwork. John brought several paintings and invited visitors to look closely–even to touch, something that is rare in an art museum! John also helped to lead Meaningful Moments, our program for visitors with Alzheimer’s disease. This is John’s fourth year to be a part of the program and he is definitely a crowd favorite! This year, we focused on immersing participants in a sensory experienced focused on two paintings in the American galleries. John shared how he integrates a sense of place into his landscapes and then participants described the paintings in detail to John, as he sketched their descriptions onto a Styrofoam sheet. Over the years, I have noticed that visitors give some of the best and most detailed descriptions of artwork when asked to share their thoughts with John–and his drawing of the described painting certainly amazes! To help immerse visitors into each artwork, we played related sounds, shared scents that connect to the paintings, and passed around tactile objects inspired by the works. In the studio, participants used numerous materials with a range of textures to create their own textural landscape. For both Late Night Studio Creations and our homeschool program, John helped us to explore artwork with music. In the studio, participants listened to different elements of the same song (vocals, piano, or the percussion instruments) and imagined a color for the song before creating a shape or design with oil pastel using their chosen color. After gluing their shapes to a larger piece of paper, John played the song in its entirety and invited visitors to imagine a color for the song. Visitors used watercolor paint to paint over their shapes to create their own musical-inspired artworks. The process of cutting shapes and piecing them together was inspired by one of John’s recent studio experiments of cutting up and reassembling dried paint. For the homeschool program, we linked the musical studio activity to the galleries through a discussion with John about a painting by Georgia O’Keeffe that was inspired by music and movement. We have had so much fun with John this October for an enjoyable month of sensory exploration. 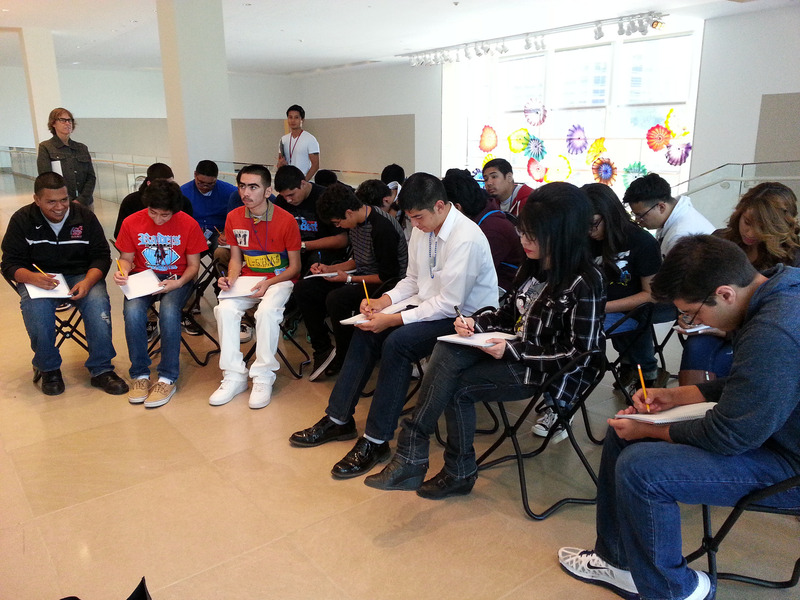 For more information about the Art Beyond Sight programs at the DMA, please click here. Firefighters, doctors, policemen – heroes are all around us…even in art! In the August Arturo’s Art & Me class, visitors met some of the heroes of the DMA, including Vishnu, a Hindu god, and Takenouchi, a Japanese warrior. Then, the little heroes-in-training made heroic outfits to match their super personalities. 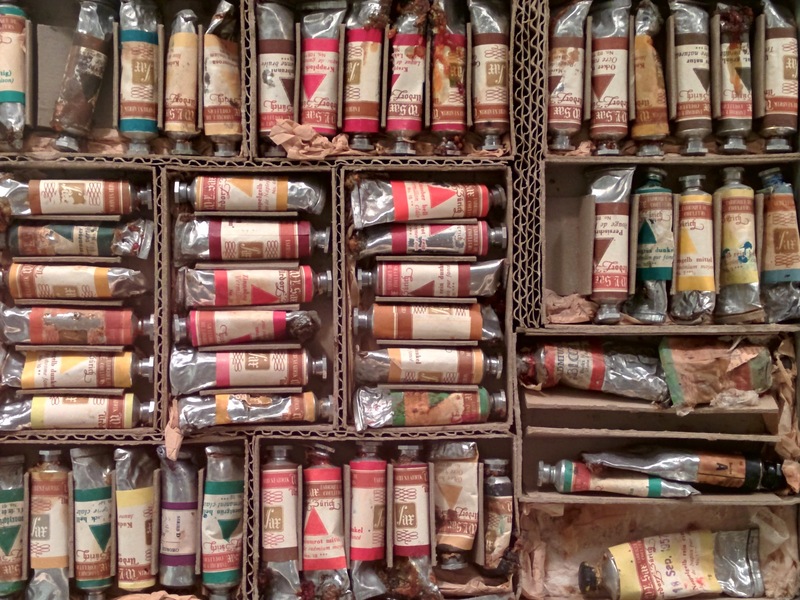 Another favorite object is one of Winston Churchill’s paint sets, tucked away with a wonderful assortment of his letters, telegrams, small works on paper, and assorted memorabilia in the Wendy and Emery Reves Collection. As a lover and student of Surrealism, I was delighted to see two works on view that I had not previously viewed in person: René Magritte’s Our Daily Bread (Le Pain Quotidien), 1942, and Dorothea Tanning’s Jeux d’Enfants, 1942. The deep-set frame of the Tanning is particularly lovely, I think! 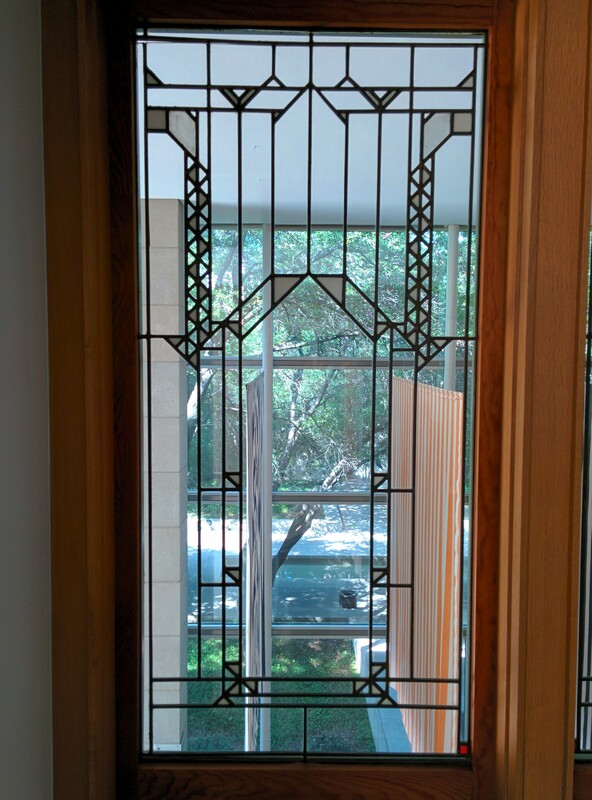 Nearest the Ross entrance in the Founder’s Room are a set of window panels designed by Frank Lloyd Wright, originally from the Francis W. Little House in Deephaven, Minnesota. It was interesting viewing the geometrically-designed “grilles” in the window against one of the orange-and-white striped hanging cloth panels in Daniel Buren’s Sanction of the Museum from 1973. 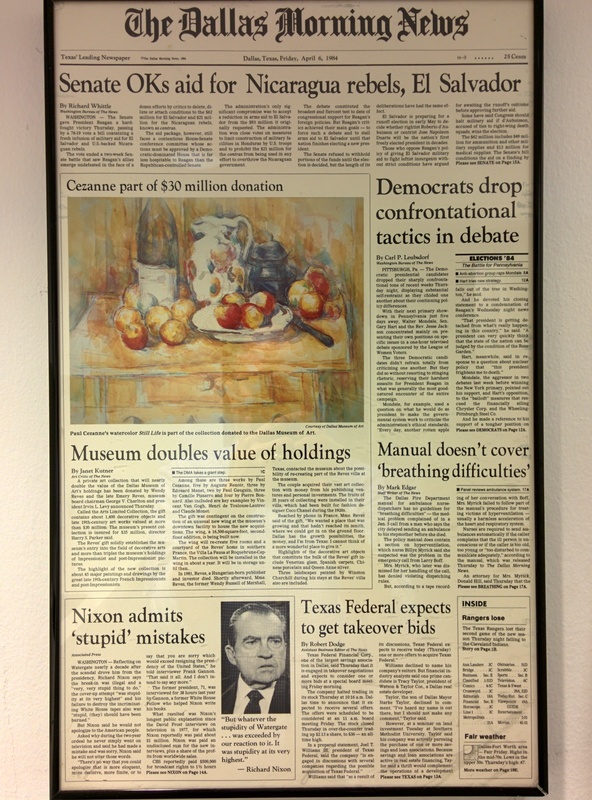 Finally, there is a little tucked away kitchenette in the Museum’s office area where I was always fascinated by a framed Dallas Morning News front page from 1984 announcing the donation of the Reves Collection, and I was pleased to discover it was still there. I love how this is an historical artifact of the worldly context during which this important collection was added to the Museum, a preserved moment in time akin to the recreation of the Reves’ villa here. 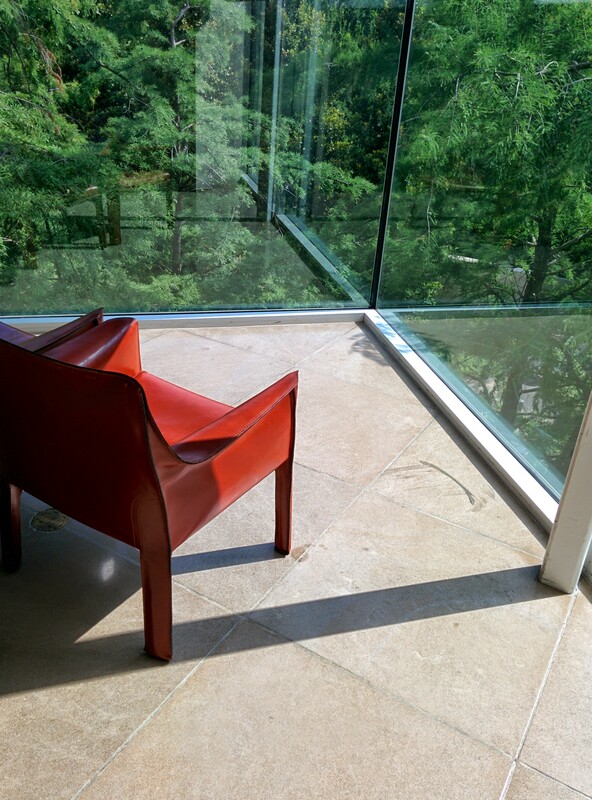 What are some of your favorite works of art and tucked away places here at the Dallas Museum of Art? Please leave your examples in the comments! 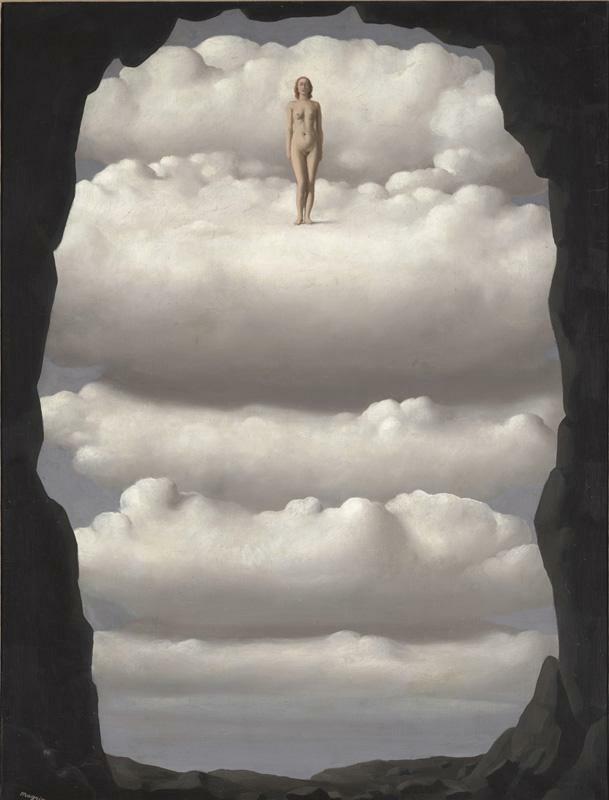 René Magritte, Our Daily Bread (Le Pain Quotidien), 1942, Dallas Museum of Art, Gift of Nancy B. Hamon in honor of Margaret McDermott. 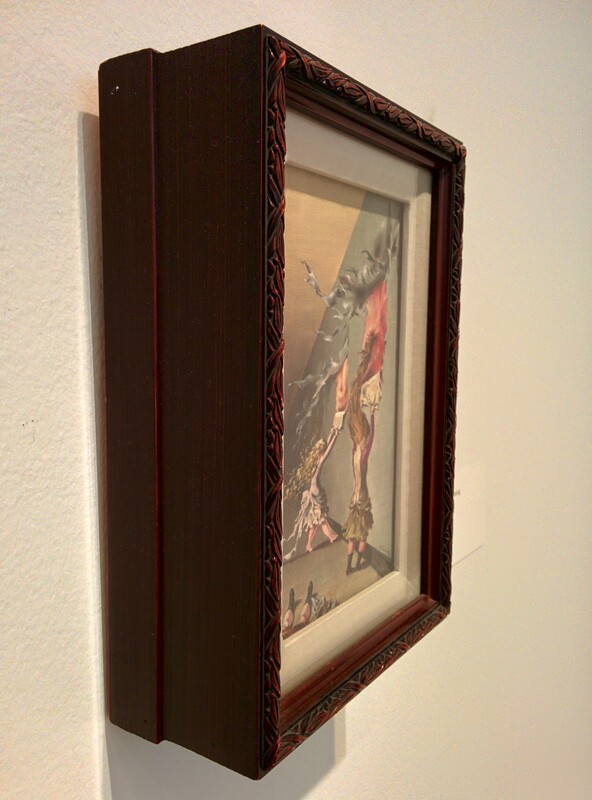 Dorothea Tanning’s Jeux d’Enfants, 1942, Lent by Private Collection. Frank Lloyd Wright, Window panels from the Francis W. Little House, “Northome” in Deephaven, Minnesota, 1912-14, Gift of Dr. and Mrs. Ralph Greenlee, Jr.
Johan Christian Dahl, Frederiksborg Castle, 1817, oil on canvas, Dallas Museum of Art, Foundation for the Arts Collection, Mrs. John B. O’Hara Fund.